These images are from the same shoot as the previous post. 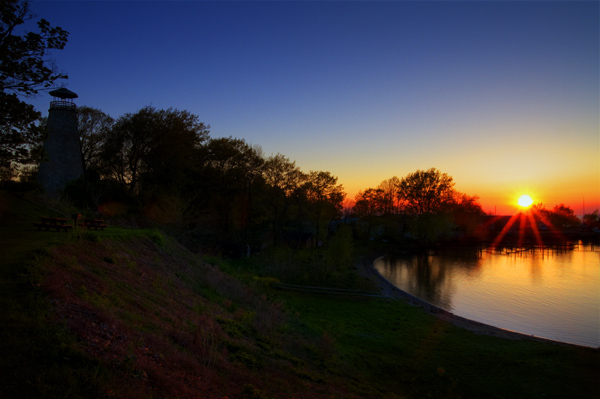 The version with more deal of the lighthouse and harbor at Barcelona in Westfield New York is a HDR image. 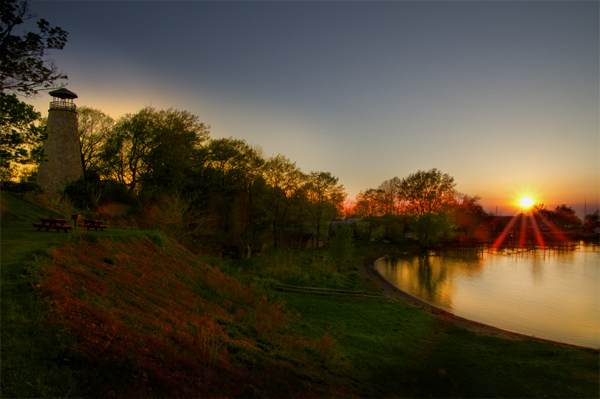 An HDR image is made up of multiple images of the same subject taken at different exposures and then combined into an image that shows detail in the shadow and highlights that is impossible for the cameras sensor to record on its own in a single exposure. These images are more examples of what I came home with last night. I guess came home with is not quite right because this went into photoshop just like the panoramic image. Combined different images taken at different exposure setting to pull out some of the detail that a back lite image loses. Then there was a graduated black fill added to a separate layer and then the opacity was reduced on this layer to darken the top of the image some.